Australia Day celebrations kicked off early last night as Deliver and Orson Allen defeated star-studded line ups to win the Maidement Memorial and Australian Sprint. Deliver entered the Maidment Memorial (595m) as one of the three standouts in the market alongside My Redeemer and Neo Cleo. He jumped perfectly from box 1 and streaked away to a clear lead while Roger Express and Dyna Chancer dueled for second position. Deliver turned for home well clear and despite the best efforts of the fast finishing Dyna Chancer, Deliver held on to win by three lengths in a race record 33.95. 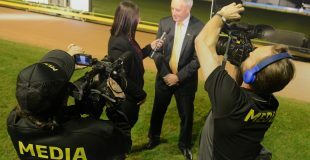 It was Deliver’s second feature win following his group 1 Vic Peters victory at Wentworth Park in November. 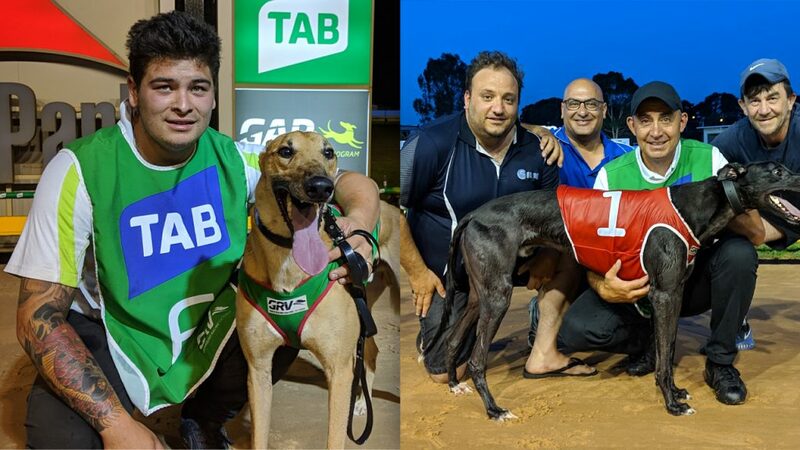 “In his starts at Wentworth Park he hasn’t got away too well, outside of those he been jumping and he got away perfectly tonight,” explained handler Jason Thompson. The win was the Thompson’s second Maidment Memorial triumph following Moriera’s 2016 victory. Two races later, an outstanding field greeted the starter for the Australian Sprint (515m). Blue Striker and Barooga Brett began best and found themselves vying for the lead down the back straight with Not Available and Orson Allen in pursuit while favourite Poke The Bear found himself in bother. The leaders bumped turning for home which brought the field together and the race was well and truly up for grabs at the top of the straight. Orson Allen had the momentum and most importantly found clear running turning for home, to finish over the top of Blue Striker and Not Available. “It was a bit like Bradbury that!” said trainer Correy Grenfell. The win was Orson Allen’s second feature race win at Sandown Park after the Shootout back in November. Earlier in the night My Redeemer and Tornado Tears were named joint winners of the 2018 Sandown Greyhound of the Year. Both took the year by storm at the track, winning multiple Group 1 events and becoming two of the bigger names in the sport. Details to come.